Danielle Copperman was a model living and working in London, growing increasingly frustrated by the processed and sugary breakfast options in the typical cereal aisle. Like any good entrepreneur, she decided to solve her own problems by creating exactly what she sought! So, Qnola was born. It's a gluten-free breakfast cereal with no additives, rich in essential nutrients and antioxidants. During the hustle and bustle of fashion month, or the back-to-school rush of September, it's more important than ever to stay nourished and feed yourself well. 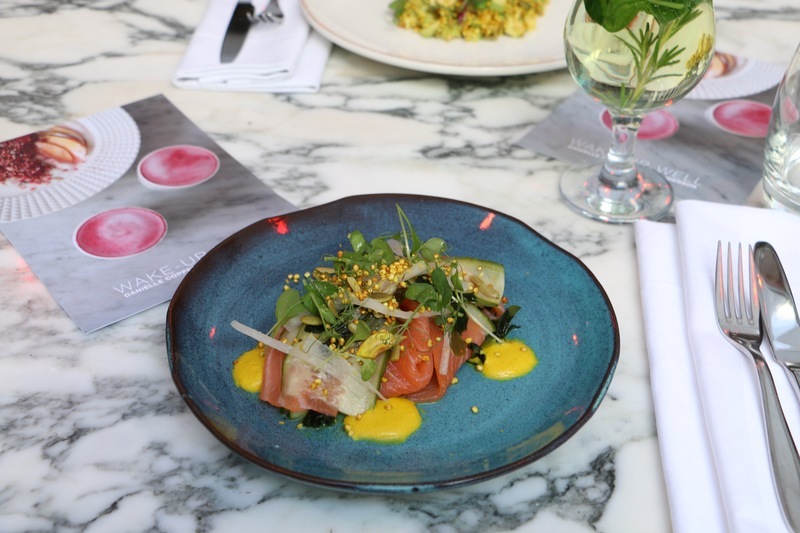 That's why Sanderson London has teamed up with Danielle to create the "Wake Up Well" breakfast menu. 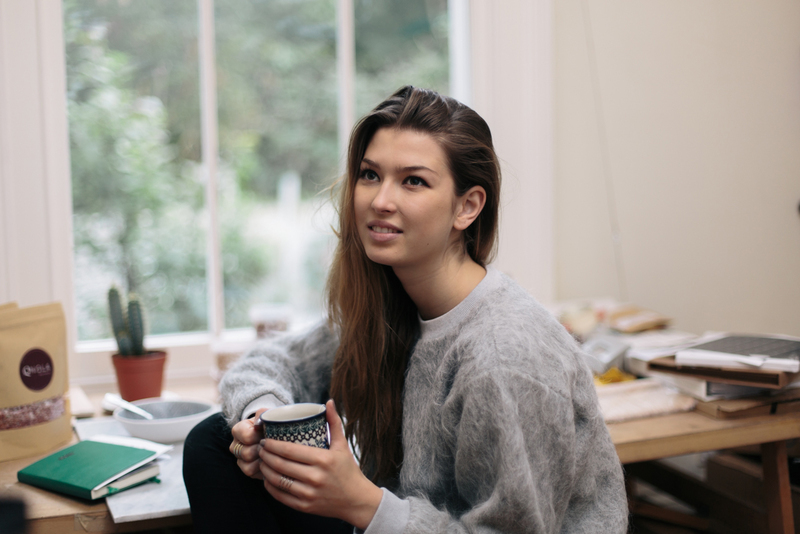 We sat down with her to talk about the inspirations behind the healthy and nourishing dishes. Don't miss our Wake Up Well morning hosted by Danielle and nutritionist Nicky Clinch on Tuesday 27th September. Can you tell us a little bit about your personal path to wellness and nutrition? When I first moved away from home I was forced to start cooking for myself more and this made me much more aware of what I was eating and what ingredients and processes were involved in the production of food. I started my blog, Model Mange Tout, as a way to record research and recipes I was experimenting with. It has evolved now into more of a holistic lifestyle blog and I use it as a place to share recipes, as well as inspiring advice and life-changing travel experiences. My main ethos is to eat only natural, fresh and unrefined ingredients that have been as untouched and unedited as possible. How did you come up with the idea for Qnola, and how did you launch the concept? There was never an actual moment when I decided to launch Qnola. I never had a business plan or even a business idea. 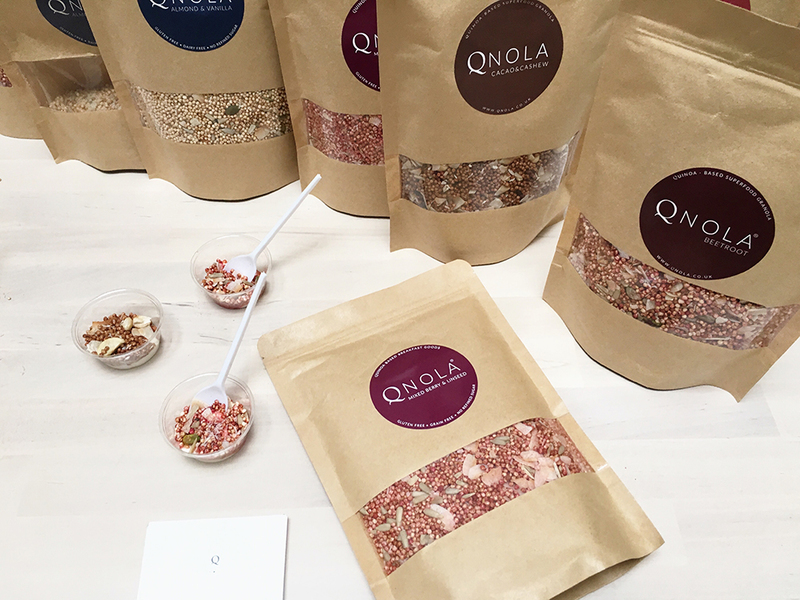 Simply put, I was making Qnola for myself as a protein-rich, gluten-free alternative to other breakfast cereals on the market that didn't suit my dietary requirements. It was only when I began giving it to friends and family that the discussion began about how there was nothing genuinely as nutritious on the market. And when several of my followers on Instagram began to ask me to make it for them, I started sending bespoke flavours in the post to them directly. As demand grew, I decided to take a few days off from my full time job as a model to focus on launching the brand officially. What was your inspiration for the dishes on the Wake Up Well breakfast menu? 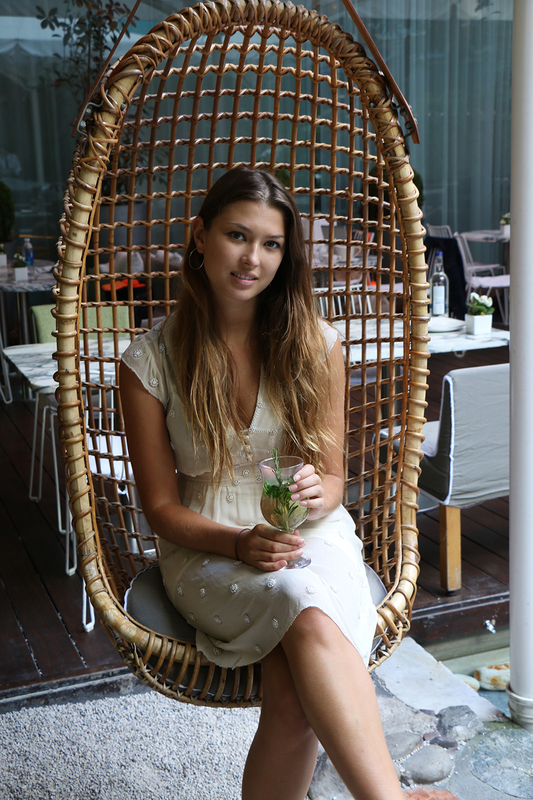 I am always coming up with new recipes and the menu for Sanderson was a combination of things I've tried and loved. Each dish is gluten, dairy and refined-sugar free, and is designed to be high in protein as well as essential minerals and vitamins. Each dish is also designed to be easily digestible, with the inclusion of fermented and pickled vegetables. Fashion week season can be a stressful time, with schedules so tight they don't allow for things like proper lunch breaks. During the season, many simply rely on insufficient catering and sugary snacks to keep going. I created the Wake Up Well menu at Sanderson to give guests the chance to start the day right by taking time to sit down and digest a real meal. Filling the body with hydrating, nourishing and energising ingredients will boost the mind, ground the soul and balance your mood. Do you have a personal favourite dish on the menu? My favourite dish is the yellow sunshine salad with gluten free buckwheat biscuits and vanilla cashew cream. For a savoury option, my favourite dish is the pickled courgette, salmon and hijiki seaweed salad plate. 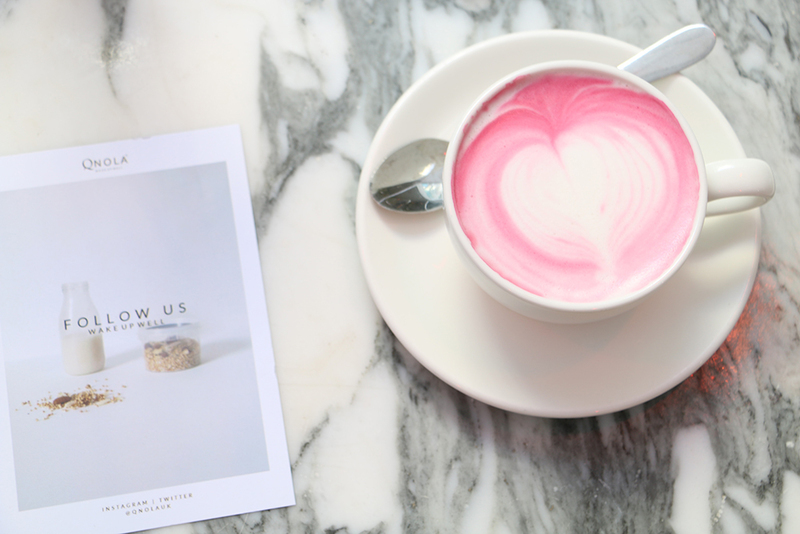 You've got to try the beetroot latte too, it's perfect. What's next for the Qnola brand? Currently, we are expanding our product range into snack foods (think clusters and naturally sweet crackers) as well as more unique breakfast products. We'll be relaunching our winter flavours (vanilla chai and chocolate orange) later this year. We are also focusing on developing overseas stockists and have recently began distributing to France. Next, we are moving into Scandinavia, Australia and eventually USA. Alongside expanding our Qnola products and outreach, we are also focusing on the lifestyle side of the brand too, launching Wake Up Well and Wind Down Well candles, eye masks, wake up well wear and other products to promote our ethos as an all-encompassing 360 approach to living well, rather than just a healthy product range. We will also be holding more mindful mornings events in future designed to help people wake up well with gentle meditation and nourishing breakfasts. What's on your healthy London hitlist? 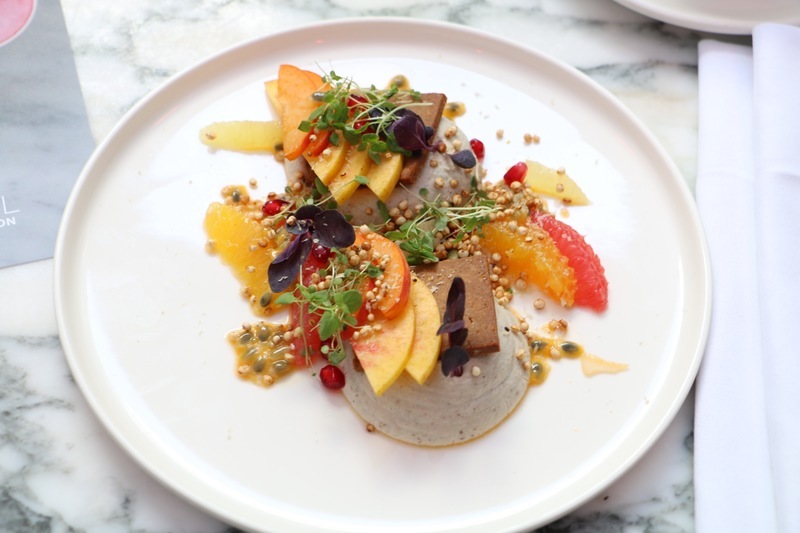 To eat out, I love the Good Life Eatery, Nama, Korobuta, The Shed, Dishoom, Redemption, Juice Baby, the Hemsley and Hemsley cafe - the list is endless! I also love exploring food markets such as Borough market, Maltby street market, Druid Street and Broadway market. For working out I love Yoga Home, which is my local yoga and meditation studio. I also run in the evenings to calm my mind and also work my body. I work out from home a lot, as I hate cutting into my days with travelling. I like to swim, skateboard, skip and box. I do love classes too and you'll often find me at Box Clever, Frame, Moreno Boxing or trying new classes all over town!